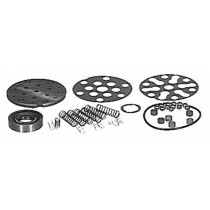 CKPN600A - BASIC Years:1965 & Up Minor Piston Pump Repair Kit. 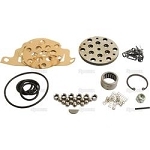 Home > Hydraulic Lift and Related Parts > CKPN600A - BASIC Years:1965 & Up Minor Piston Pump Repair Kit. CKPN600A - BASIC Years:1965 & Up Minor Piston Pump Repair Kit. Fits Ford Tractors:2000, 2110LCG, 230A, 231, 2310, 233, 2600, 2610, 3000, 333, 335, 340, 3400, 340A, 3500, 3550, 3610, 4000, 420, 4400, 445, 4500, 515, 530A, 531, 532. Replaces Ford Part #CKPN600AGV. CKPN600A Years:1965 & Up Major Piston Pump Repair Kit.